← Staying safe while on fieldwork. So clearly we are more interested in the first part of this than the second. If we follow that line of thought, then fossils are the remains of any living thing that has been in the ground long enough that all, or parts of it, have turned into rock. Now that might seem pretty straightforward, but actually sometimes it can be very difficult to tell if you have the remains of a living thing or not – take a footprint for example, it’s the remains of a living creature, but it’s remarkably easy to see a footprint where actually there is just a depression in the rock. And how do you know that something is even a rock?! It sounds strange, but it can even be tricky to work out if something has been buried long enough to be a fossil! 1. You know you have a rock when you can’t easily wash the dirt off – there may be dirt on top of rock, but if when you have given it a bit of a wash all you have left is just a handful of mud then sorry it’s not been down there long enough. 2. You know you have a rock when all the cavities are filled with either rock or crystal material – take a bone or a shell – if you can see lots of spaces where there is no material filling the gaps, it’s probably not a rock. 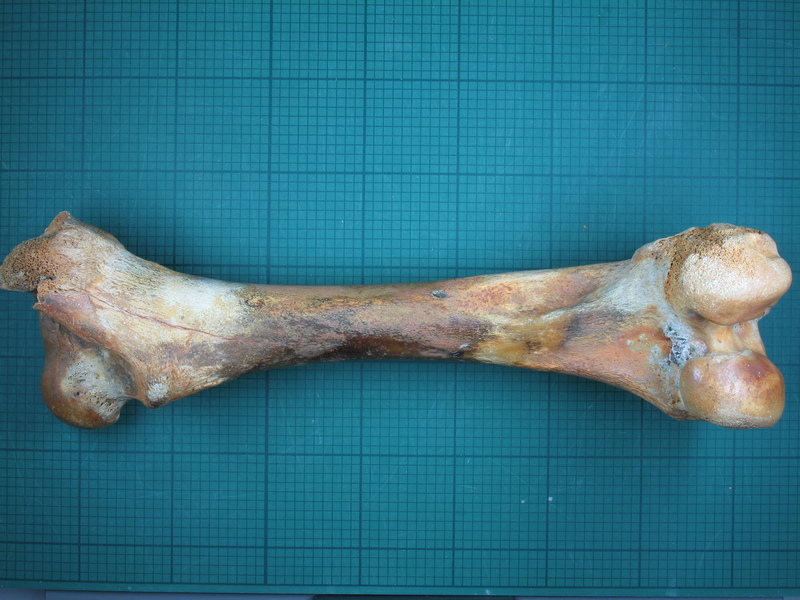 This is a bone that someone thought was a fossil…. 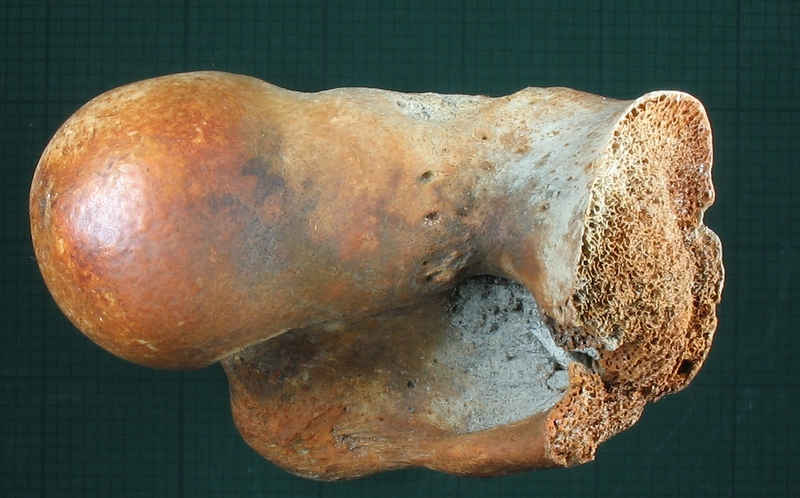 But when you look close up, you can see that the holes are not filled with anything – so this bone is not old enough to be a fossil. 3. Now knowing you have a fossil is trickier – sometimes it’s just a matter of getting your eye in – but usually look for a regular pattern – that is dead giveaway. Even if you don’t know what it is, spotting a pattern is a good first step. Can you see the fossil in this one? It’s an ammonite – look for the curling shape with lines. Some things look so strange you might think they are fakes – the stars in this rock are the fossilised stalks of an ancient sea creature! 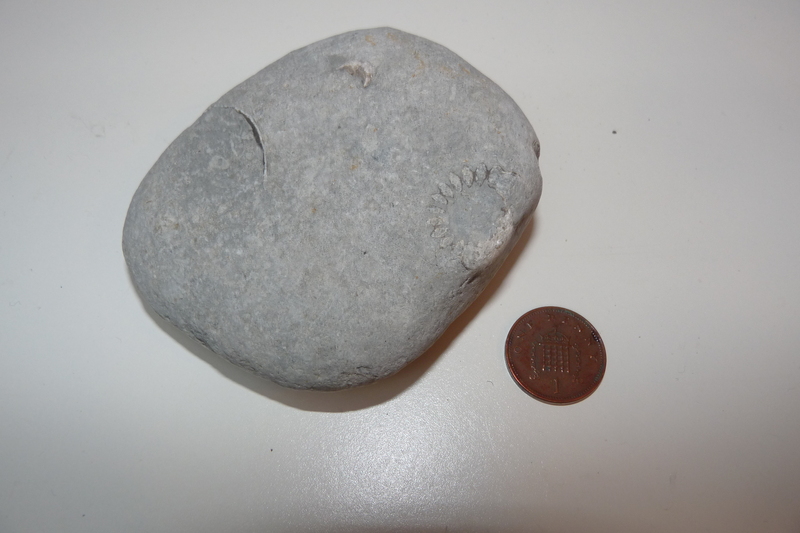 Some fossils are small or have been fossilised in an unusual way – some of these are on their sides! 4. Most often the most useful thing you can do is look at what kind of fossils are usually found in your area – let’s face it, you’re very unlikely to find a t-rex skull in a garden in Greenwich, but if you know what fossils you should be finding you can work out if yours is more likely to be a fossil. If you have managed to find a real fossil (well done!) then you have to work out what kind of fossil you have, and to do that you need to look at a geological map, which I’ll talk about next time. Dorling Kindersley’s ‘Fossils’ book, last re-printed in 2010 (the link I have included is to Amazon so you can take a look at it, but I would recommend you check it out in your local library first, especially if you are just starting out). I’ve found a large oval rock whilst walking along the beach at charmouth in Dorset it’s about the size of a beach ball..
Is it worth taking somewhere to get it looked at..? And who should I take it to? The first thing I would ask is: is there anything on the outside of this rock that suggests that there is something on the inside? For example a regular wavy line that goes around the circumference or part of the circumference of the rock could indicate an ammonite, or a brown-black patch with a pattern similar to that on a dragonfly’s wing could be fossilised wood or bone. If there are no clues on the outside of the rock that there is something on the inside, it makes it less likely that there is anything on the inside. If you can see one of these features, or you want to be extra doubly sure then I would suggest that the best thing to do is to take a photo of this rock and send it to the Natural History Museum’s identification service. Make sure the photos are in focus, with good lighting and something in the picture for scale (a pen, or your hand if you don’t have a ruler) and try and take a few of different sides and from different perspectives. If you then email it to ias2@nhm.ac.uk then one of the Museum’s scientists will take a look at it and let you know if it is worth investigating further. Hello I’ve found what I think is a fossil of a tooth or a claw. Should I get it looked at? Should you get it looked at? My first feeling is always – yes! Why not? But if you are worried that it might be a lot of effort for nothing and want to check that what you have found is most likely a fossil tooth or claw before you ask, well that really depends on where you found it. Some types of fossil teeth are much more easily found (for example sharks teeth) and are definitely worth looking up, but sometimes what you think might be a tooth or a claw could just be a cool pseudofossil – a rock that really looks like the fossil you think it might be. The first thing I would ask is: how much do you think this is a fossil tooth or claw, or a modern one? For instance is it heavier than you expect, look like it’s made of rock or be encased in rock (therefore you would think it’s a fossil) or look quite fresh, like it may have recently come from a living animal (then you might think it’s modern)? If you think it’s a fossil, then by looking up the geology of the place you found it you can get a pretty good idea if it really IS a fossil (the type of rock will give you a good idea of what fossils you could find – eg Lyme Regis has mudstones and shales that are Jurassic in age, so the fossils are marine fossils – shells, sea lillies, ichthyosaurs etc!). Alternatively if you decide it’s modern see if the animal you think it came from lives locally, and if it’s realistic the claw or tooth could have come from that. Of course finding something cool is always a brilliant chance to strike up a conversation with a scientist at your local museum! Ask at the information desk who you would speak to that handles the fossil or animal specimens and then send them an email with a few good photos (make sure to include something for scale). I’m sure they will be able to tell you pretty well what you have found, with loads of fun facts besides! Either way I think it’s always worth getting something looked at, just for the chance it could be something really cool! Good luck – and if you find out what it is will you post again and let me know? I will let you know if it is anything cool. Thank you! I found a fossil while vacationing in Nevada. It’s marine life (i’m pretty sure) but i’d like more information on it. Is there somewhere that I can send pictures to, that can provide the information for me? The best place to do this would probably to send an email to the Natural History Museum (London)’s Identification and Advisory Service. Their email is ias2@nhm.ac.uk. Try and send a few photos – preferably from different angles, make sure the part you interested in is in focus and have some kind of a scale. Your email will be picked up by one of the museum scientists who should be able to give you some idea of what you have found. Try and include as much detail as you can about where you found it – as that makes the ID officers life much easier! There are lots of ways that you can find out what it is that you have found. For a fossil the most important information you need is where you found it – that will help a scientist narrow down what it could be, before they can work out what it is. The next thing to try would be having a look at websites that give guides to hunting fossils in certain locations as they will often have photos of the things you can expect to find and you might spot your discovery there. 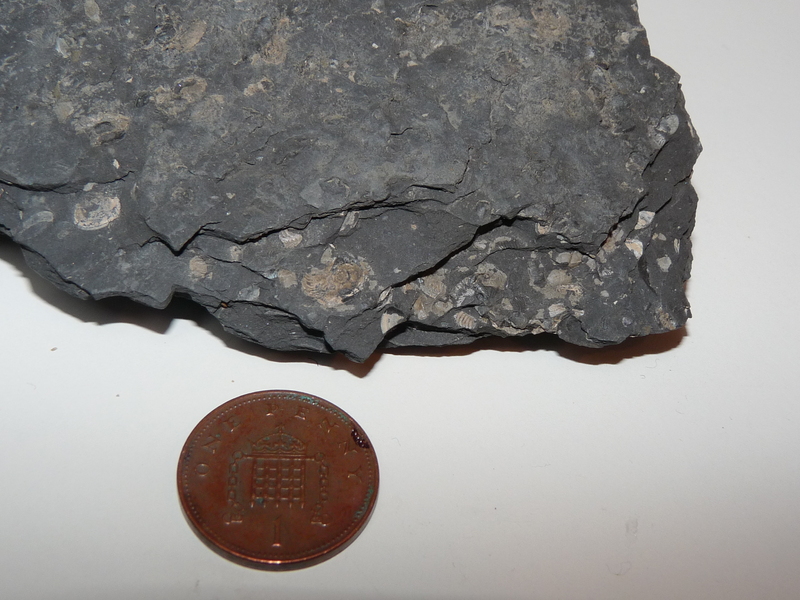 In the UK you can try http://www.discoveringfossils.co.uk or ukfossils.co.uk. Finally if you are still not sure, you can try sending a good quality, well lit photo with something for scale in it, to the Natural History Museum identification service – their email (correct as of 05.2016) is ias2@nhm.ac.uk. Good luck with your discovery! Hi I think I have found what looks like an egg in a chunk of chalk. My partner was breaking up some big chunks which we had delivered to put in our gateways to the horses paddocks and found it. Unfortunately it was in the middle of a big chunk and got broken as he broke the chalk. The egg shell looks very thick and looks almost like marble and there is what looks like a fosssil of a back bone. We haven’t tampered with it for fear of damaging it even more. Any ideas what we should do with it. Hi Julie, that sounds really interesting! 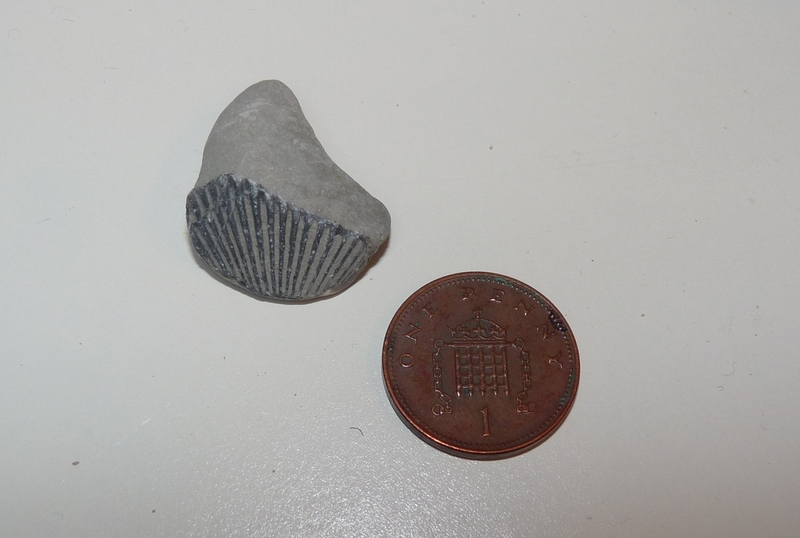 One of the kinds of fossil it is likely to be if it looks like an egg and comes from chalk particularly if the chalk comes from the uk is that it might be a sea urchin or echinoderm fossil. These look like eggs with a couple of spine-like patterns across it. Chalks form in tropical shallow seas so sea creatures are always the most likely! If you can find out where your chalk came from then you should be able to work out exactly what fossil you have, but if you want some more help the best thing to do is to either contact your local university with a geology department or the Natural History Museum’s ID dept (email: ias2@nhm.ac.uk) send them a couple of photos, in focus, with something for scale and as much detail about location of the chalk, size of the fossil and any patterns you can see, and one of their scientists will take a look and give you an ID! But have a look at sea urchins – you might just spot your fossil! Good luck and I hope you figure it out! I found a shell like rock and I think it could be a fosoll if u need a picture of it just tell me cause I had this rock for 3 years already and never took it to anyone. hello im not sure if I found a fossil or not it looks kind of like a fish though… we found it in a bag of frozen shrimp! Sorry for the slow reply, but I would be very surprised if this is a fossil!! Mostly likely it is something odd that has fallen into the freezer with the shrimp. Your best bet is to send a photograph of it (with some kind of scale if you can) to the manufacturer and ask. If you don’t want to ask them you can always contact the Natural History Museum, London’s enquiry service to see if they can give you any advice on what it might be (you can email them on ias2@nhm.ac.uk) – but I suspect it actually is a fish, that has somehow found its was into your shrimp! How odd! Can you let me know if you find out what it is? Sorry for my slow reply, it depends on what you have found! You might be best contacting your local museum first as they will have really good specific knowledge. Without more info I can’t be much help I’m afraid! Wow an animal footprint! That’s cool, did you take a photo of it before it gets washed away? There are lots of way to work out what kind of animal left the footprint, but always remember to rule out the normal ones first – for me that means checking for the toes and paw shape in case it is a dog, or fox, or looking at the hoof shape to see if it is a deer, sheep or cow (being in Devon – these are my most likely). For some reason my local cats are really light-footed and don’t leave much of a paw print, but you could check that too. There are lots of websites to help you with paw identification so I recommend you start there. As to what will happen, well chances are if you haven’t seen these footprints before, it is a one off visit. If you want to spot your visitor, check what times of day it usually comes out and keep watch quietly in a place without much disturbance (lights, movement etc). Most of the time this not something to worry about, but if you are concerned, check in with your local museum or animal rescue service for more information about your specific area. 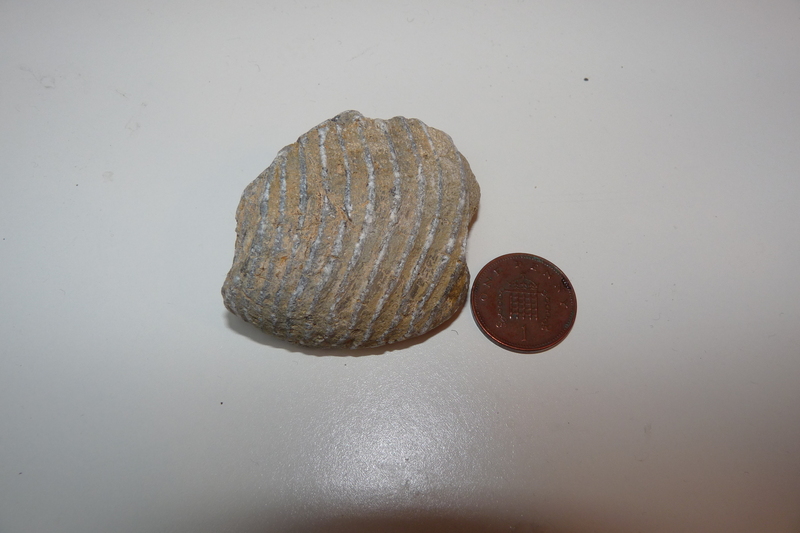 Hi, I am finding a bunch of shells in a Kansas lake, but not sure if it’s a fossil or what. Well you have certainly found something, i suppose the question is if they are fossils or not. So the first thing I would do is check if there can be fossils in that area – in other words, what is the geology. Now looking quickly at Kansas geology on the internet I can see that not only are there some GREAT resources on this (start here: http://www.kgs.ku.edu/General/geologyIndex.html), but also that Kansas’ geology spans a very wide range of geological time periods, so it’s entirely possible that you found some fossil shells. You will know more when you look up your specific area and find out what fossils could be found there. Second, take a look at the shells themselves. If they look more like a rocky or plaster copy of shell than something you might find served up with a shellfish dinner then, it might be a fossil. Obviously the biggest clue would be if there is actual rock connected to it (not just dried mud which you can soak away or break off), but fossils have often changed colour to match the colour of the local rocks. So if you see a lot of colours in the shell, or if it is very thin (and feels like a normal shell) then that makes it less likely to be a fossil. 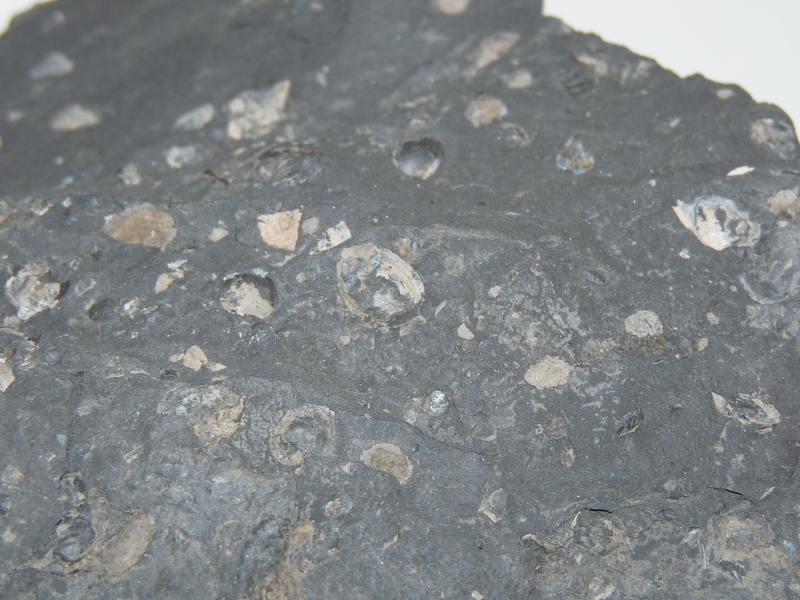 However not impossible – this is part of the fun of fossils! Because shells are mostly made from biologically altered calcium (called aragonite) and fossils themselves are often made from geological calcium (called calcite) they sometimes don’t change visibly when they are fossilised. Then you have to get specific. Check out the local geology and look at the list of most common fossils found there (if you are finding ‘a bunch’ as you pt it, they are probably common) and compare the shapes, sizes and any patterns to sketches and photos of these fossils. Of course you can also compare them to modern shells to rule that out if you want, it works both ways. In any case it sounds like you have a fascinating mystery on our hands, I hope you figure out what they are! This is great! Congrats on finding them! Now as for turning them in this depends on why you are doing it. If you want to get rid of them, try your local university first (that teaches Geology or Earth Science) and see if they want them for study or the teaching collection. Remember that fossils are really only useful if you have a record of where you collected them, so if you don’t have that, then I’m afraid be prepared for them to say thanks, but no. If you want to turn them in because you think they might be valuable, then you totally don’t have to! 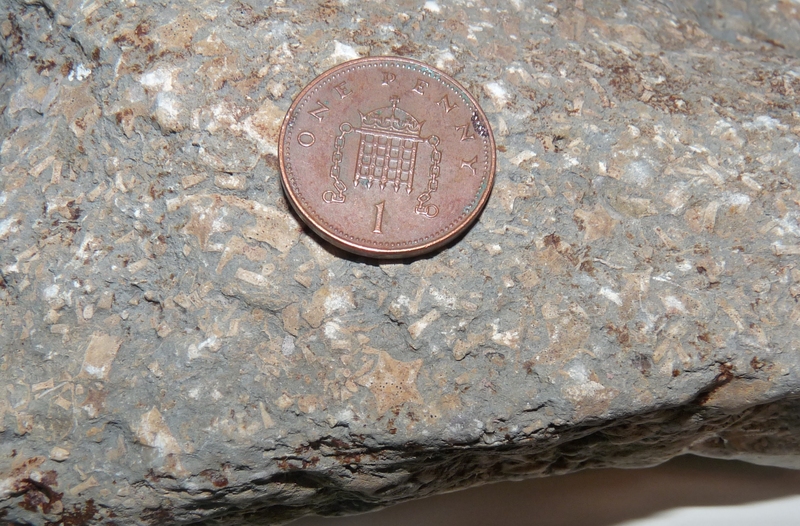 Unless you have collected them illegally (for instance in a restricted SSSI) – which I’m sure you haven’t – any fossils you find are yours to keep, even if they are amazing super rare ones! However in that case what I would suggest you do is get them registered with your local university or museum. It always helps scientists to have a record of amazing fossils collected by fossil hunters like yourself, and you never know when something that you have found could turn out to be a really important discovery. So in that case take a couple of really good, in focus photos, with a scale, from a couple of different angles of your fossils, then email them to your local university or museum. If you aren’t sure if they would have the right expertise then you can also always send them to the Identification and Advisory service at the Natural History Museum London (email: ias2@nhm.ac.uk) for more advice. But remember, although you don’t HAVE to give them to anyone, lending them to a scientist for a while can lead to amazing discoveries!